In this blog, we will see how to get the default path of data and log files using “SERVERPROPERTY”. “SERVERPROPERTY” is a System-defined function used to return the SQL Server instance information. Get the default path of data files using “SERVERPROPERTY”. 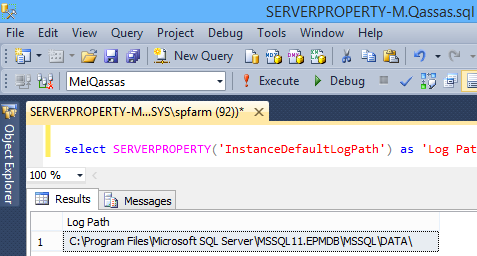 Get the default path of LOG files using “SERVERPROPERTY”.